Popularized by the Harry Potter series, snowy owls—with their striking white plumage to match their Arctic home—look perfect for the world of wizards. Although their white feathers set them apart, like all owls, they come with a set of adaptations that make them fierce birds of prey. 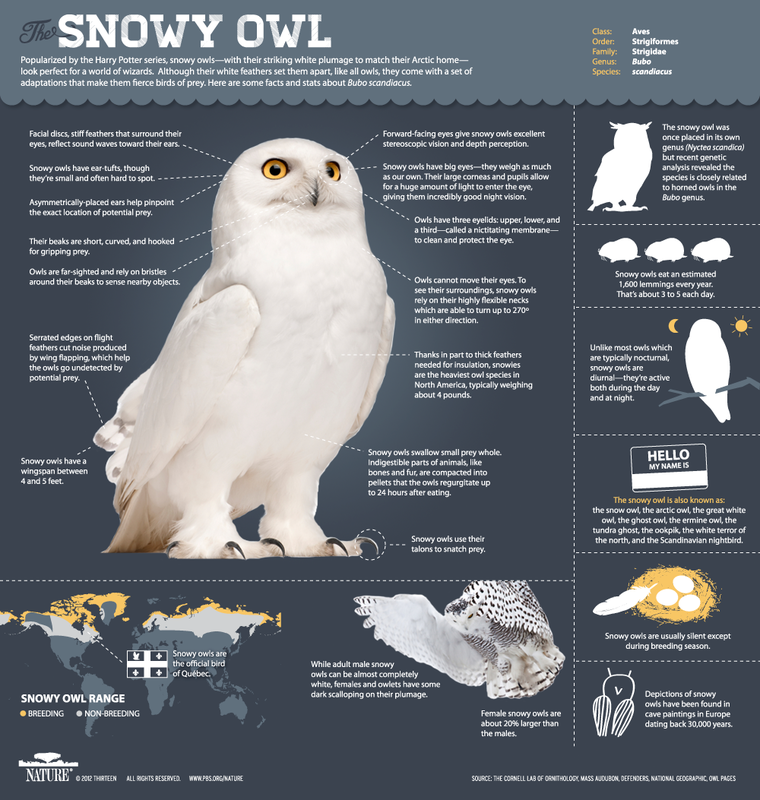 Here are some facts and stats about (Bubo scandiacus).